The weather cleared up this afternoon but we still encountered many challenges…The end of this bridge had major snow build up and it was very difficult to get off it. A few got stuck and we had to get the bundgie out and pull them up. Wow. 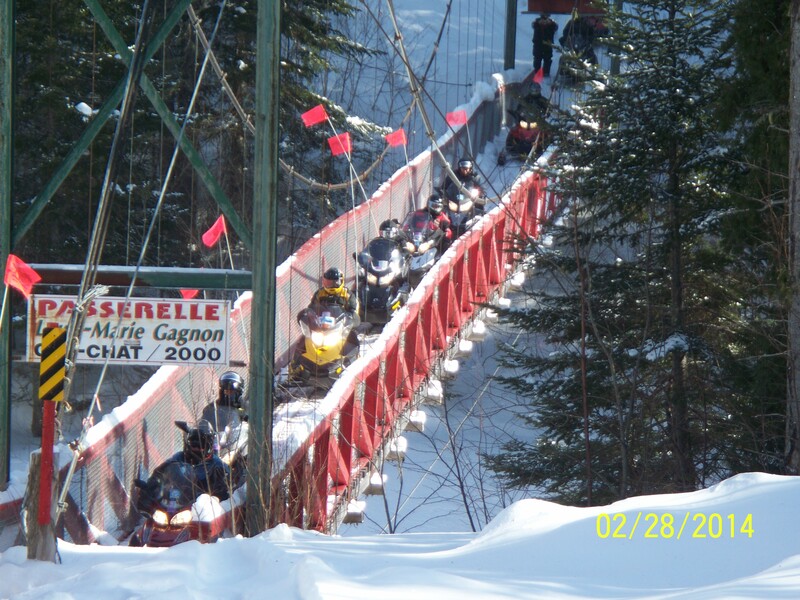 It’s a good thing you guys can fit so many sleds on that backwoods bridge all at once, because you make better time doing that way. As long as it doesn’t buckle while riders figure out how to navigate the snow build up on the other side, anyway. But that’s just stating the obvious. HA! Sorry, safetyblog2010. I couldn’t resist.